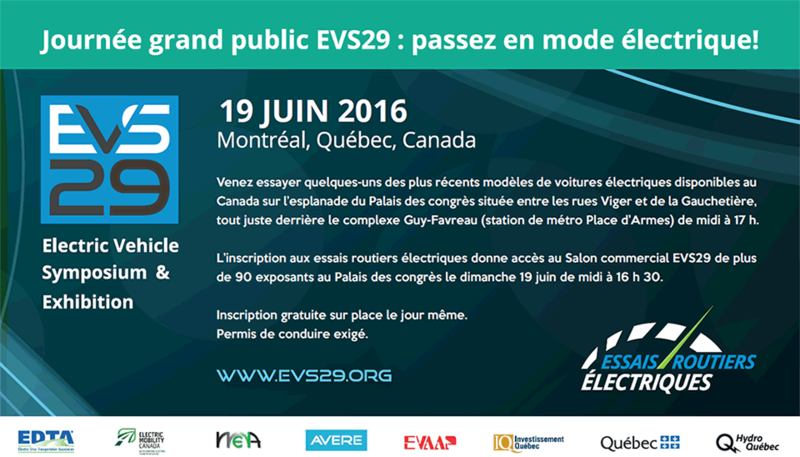 The Electric Drive Transportation Association (EDTA) and Electric Mobility Canada (EMC) will host the 29th International Electric Vehicle Symposium and Exposition in Montréal, Québec on June 19-22, 2016. Members of academia, government, industry, the media, and the general public are invited to attend this world-class event! Participate in the largest EV exhibition and conference in the world! EMC Members get ‘EDTA Member’ rate until July 1, 2015.